XZ Tauri is a binary star located in Taurus constellation. It lies at an approximate distance of 450 light years from Earth. XZ Tauri is located in the Taurus-Auriga molecular cloud, one of the closest star forming regions to Earth. The XZ Tauri system consists of two pre-main sequence stars classified as T Tauri-type variables that orbit each other from a distance of about 6 billion kilometres, or roughly the distance from the Sun to Pluto. The two components are very young stars. They are located in the north-eastern portion of a dark cloud designated LDN 1551. One of the stars is believed to be a binary itself, which makes XZ Tauri a triple star system. A superflare was observed in the XZ Tauri system in 2000, when time-lapse videos made from a series of Hubble photos revealed jets of gas moving through space at a speed greater than 300,000 miles (540,000 kilometres) per hour. The two star systems captured by Hubble, XZ Tauri and HH 30, are both believed to be less than a million years old. 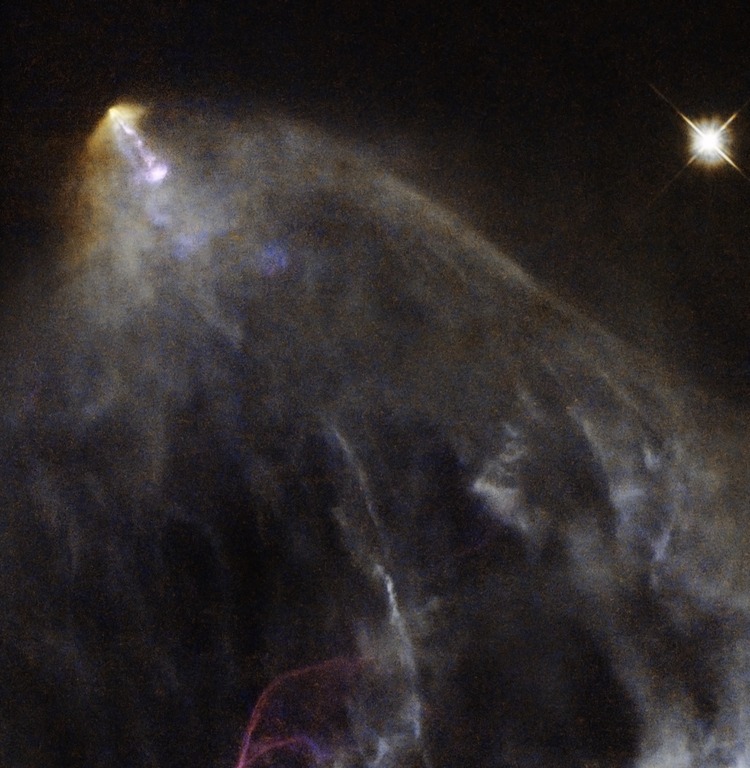 HH 30 is a Herbig-Haro object, a streak of hot gas blown into space by a newly formed star. HH 30 is associated with V1213, a variable star in Taurus. XZ Tauri is emitting a bubble of hot gas that is rapidly expanding and cooling off as it reaches a postshock cooling zone. After expanding for about 30 years, the hot bubble now spans an area of almost 60 billion miles (96 billion kilometres), about 15 times the distance between the binary pair. The estimated temperature of the bubble is more than 17,500 degrees Fahrenheit (9,700 degrees Celsius). 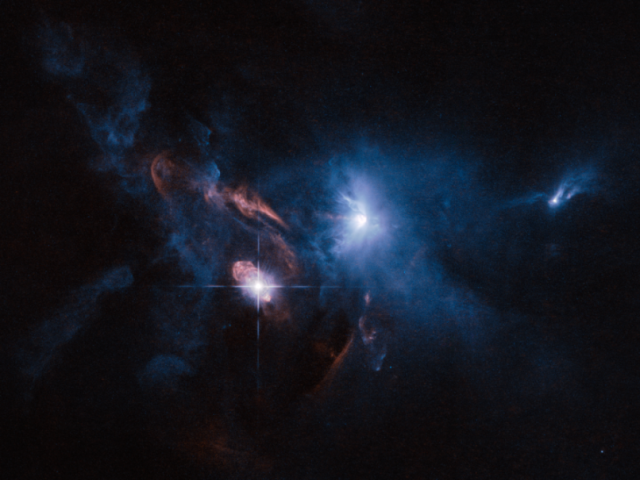 The nebulosity surrounding XZ Tauri is shaped by shock waves from other newly formed stars in the region. These stars rotate rapidly and blast off huge amounts of material into space. Last week, NASA and ESA released two new videos of the XZ Tauri system. The first video zooms in on the system, while the second pans across it.